☝ I was probably 5? …. My family owns a wedding store in Taiwan, so I was able to get my glamour shots taken for free in the summer of 2011. One of Taiwan’s best-known cultures is that people are very into wedding photography, and it has became a pretty competitive industry. Here are some of the pictures I took for my aunt’s wedding store in the summer of 2011. 2 casual outfits I chose myself and 2 traditional wedding gown.. 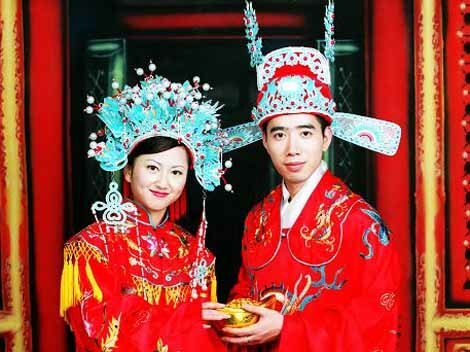 Yes, I admit that the ones with wedding gowns are pretty “asian looking” but that’s the culture, what general people prefer in Taiwan. CNN: Are these the world’s weirdest wedding photos?